Baz Luhrmann’s “Moulin Rouge!” introduced me to absinthe’s nickname—the Green Fairy—so when I think of the drink, I picture Kylie Minogue in wings and green sequins, zipping around Ewan McGregor as he experiences the Paris of 1900 on an absinthe high. When I’m in the mood for an absinthe cocktail I often make myself a classic called the Green Fairy that involves lemon and egg white. But the way I most often drink absinthe is even more of a classic, the traditional French method. It’s not so much a recipe as a ritual, in fact it’s sometimes called the French Ritual. The French Ritual involves some patience, which makes it feel just right for a long, cold February night. All it takes is a slotted spoon (or a fork if you don’t have that), a bottle of absinthe, ice water, a sugar cube and a glass. This method calls for slowly dripping ice water through the cube and into the absinthe. As it drips through the sugar and into the glass, the water dilutes the absinthe and gives it what is called “the louche,” a swirling pearlized effect of the oils emerging from the herbal components of absinthe. By the time you’re done dissolving the cube you’ll have about four ounces of this swirling, cloudy drink. 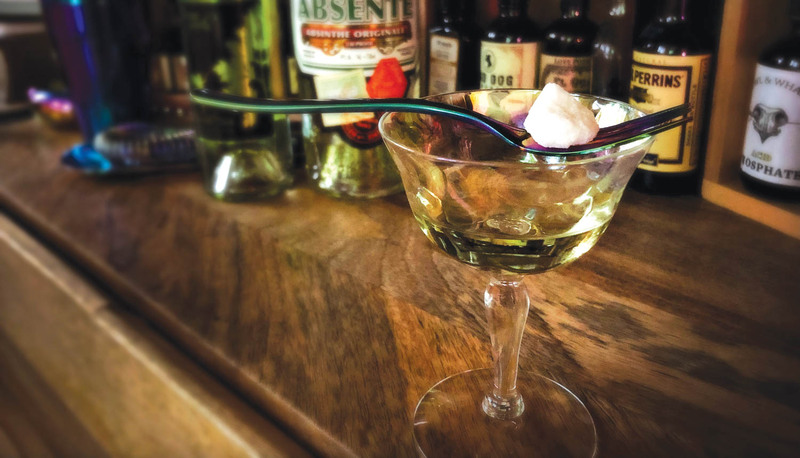 Absinthe has undergone quite a process as bans (on wormwood, or the spirit itself) were lifted throughout Europe and in America a little over a decade ago. 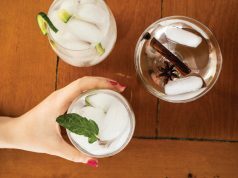 More than ever, distilleries are striving for the original recipe, and availability gets better and better. I should note that reports of the hallucinatory effects were greatly exaggerated, so don’t expect to time travel, but at least the French Ritual will take you back to the spirit of turn of the century Paris. Set up the glass with an ounce pour of absinthe. Put the spoon (or fork) on top of the glass, resting on the rim, and place a sugar cube on it. (Any kind of sugar cube will do.) Then slowly drip ice water over the cube.